එක්දහස් අටසිය ගනන් වල තිබ්බ සල්ලි කොල වගේ නේ , මට නම් චා………..
මචෝ සල්ලි ස්කැන් කරා කියලයි උඹ අත්අඩංගුවට ගනීද?? 100 කොලේ ඇරෙන්න අනික්ව නම් හොදයි……………. 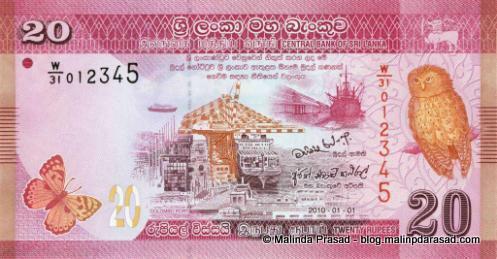 5000 මරැ………. මට නම් වර්ණ චාටර්, දිය සලකුණ වන සිංහයා හලලා. 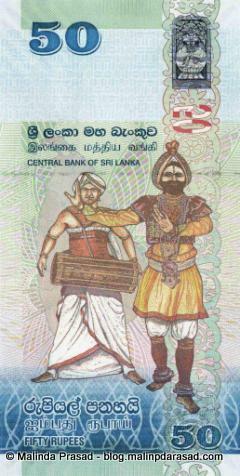 දියලකුණ නම් මෙහෙම පේන එකක් නෑ මම හිතන්නේ. අනික මාධ්‍යයට නිකුත් කරනකොට ඒව මේව අඩුකරනවද දන්නේ නෑනේ. හුරුවෙන්න නම් කල්යයි… වර්ණත් ලස්සනම නෑ තමා… දැනට භාවිතා කරන 2000, 1000 ගොඩක් පසුම්බි වල දාන්න බෑනේ (පළල වැඩි නිසා) ඒකවත් හදලනම් හරි. 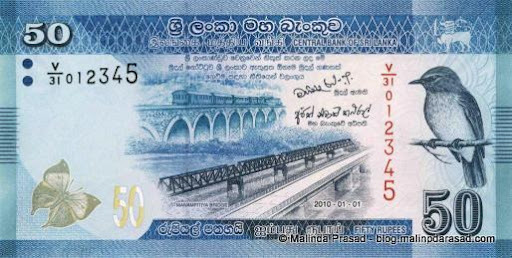 මට නම් ගොඩක්ම ලස්සන 1990 – 2000 කාලේ විතර මුද්‍රණය කරපුව. දිය සලකුණ වන සිංහයා වෙනුවට තියෙන්නෙ ඊට අදාල පක්ෂියාගෙ සලකුණ ලු. I think they’ve given more space to national signs. Tamil dancing and buildings are new. Also here, the Victoria dam & much more updated national signs. 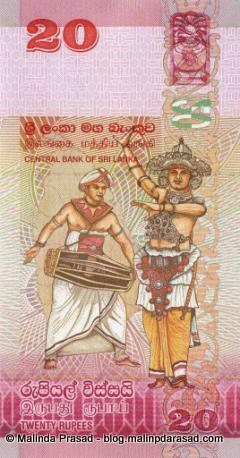 Lion is also present in the little border that ‘Central Bank of Sri Lanka’ is printed. There are too much colored, that’s the main thing that make them unsuitable for currency notes.